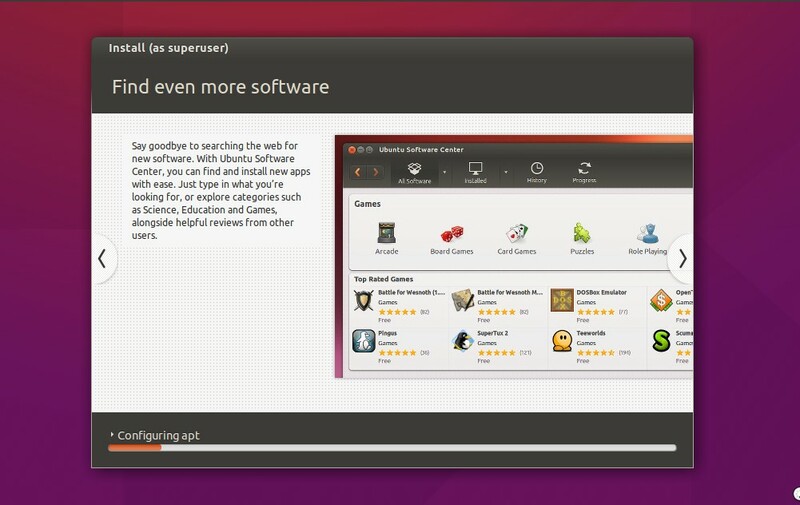 Ubuntu has released its latest version Ubuntu 15.10 code name as “Wily Werewolf” on 22nd Oct 2015. As this version is not LTS, so support will be provided only for 9 months. New Kernel 4.2 is included in this release. Fixed small fixes of Unity 7.3.3 in this release. 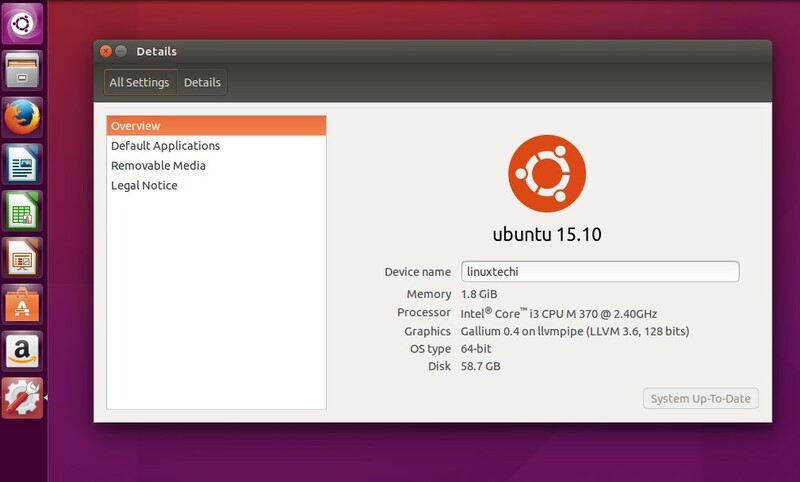 In this post we discuss how to install Ubuntu 15.10 on our laptop or desktop. 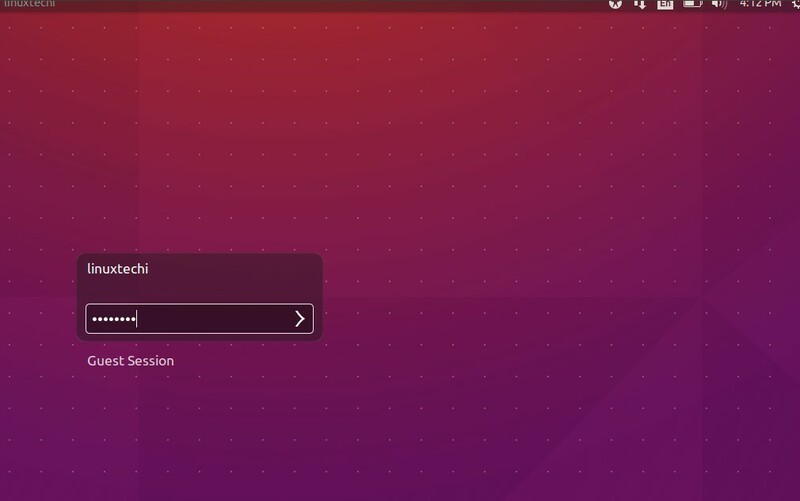 Step:1 Download Ubuntu 15.10 ISO file from its Official Site. 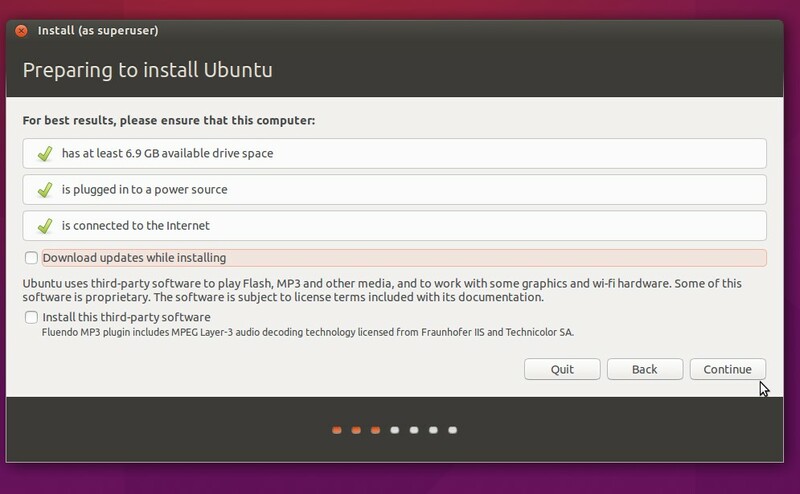 To download Ubuntu 15.10 go to its office site “http://www.ubuntu.com/download/desktop” and download as per your system architecture. Step:2 Boot the system with bootable drive. When we boot the machine with bootable drive, following windows will appear. In the nextstep it will check whether system has enough free space, connected to Internet & power is plugged in. ( 1) Let the Operating System to create the partition – OS will be automatically created partition depending on the disk size. 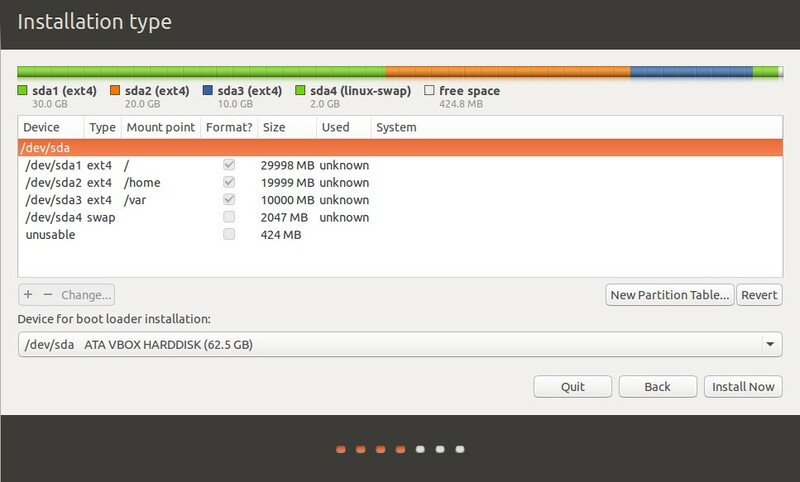 ( 2) Create your own partition. 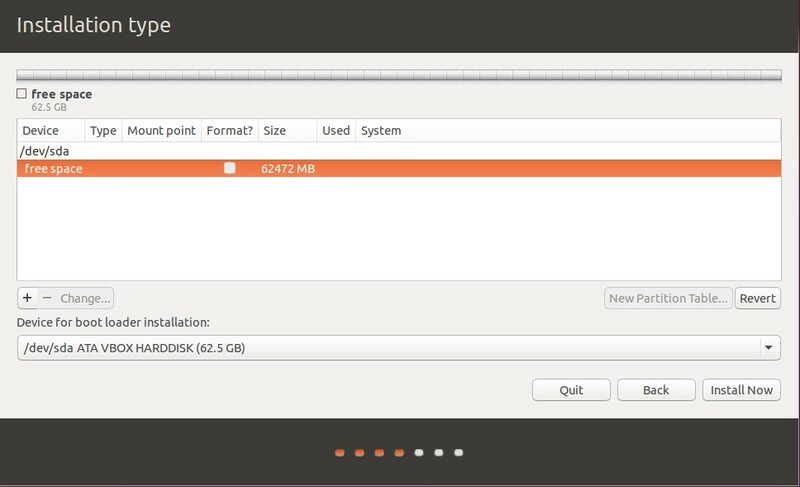 In my case i am creating own partition , i am using around 62 GB disk. 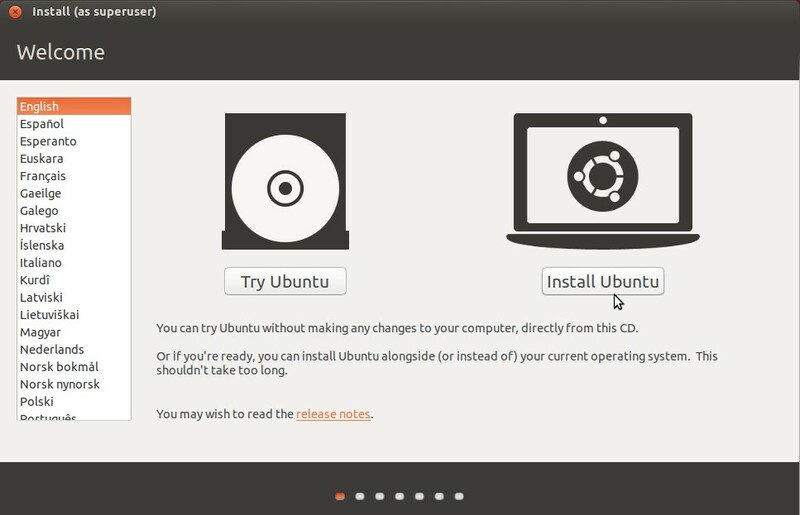 Note : These partition will subjected to change according to your disk size. 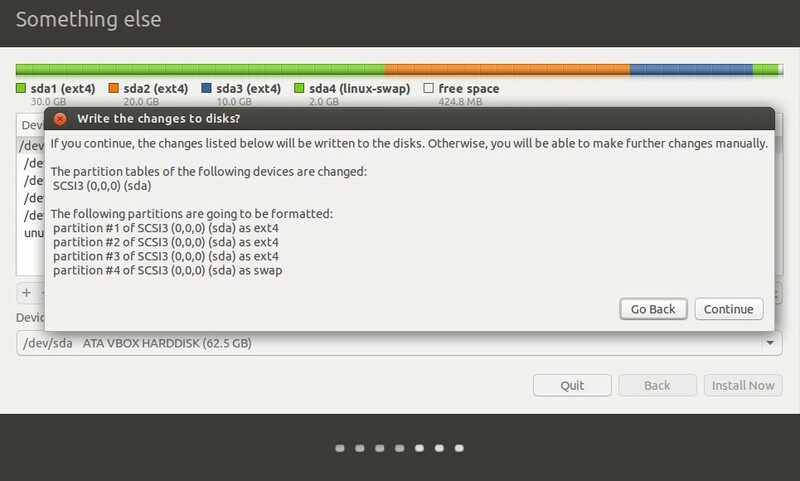 Click On “New Partition Table…” it will display the Warning Message as shown above. 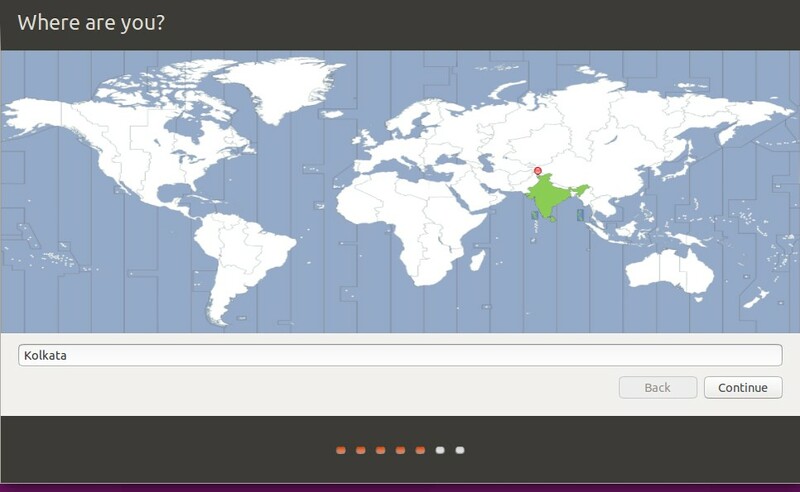 Click on “+” symbol and create the partitions. 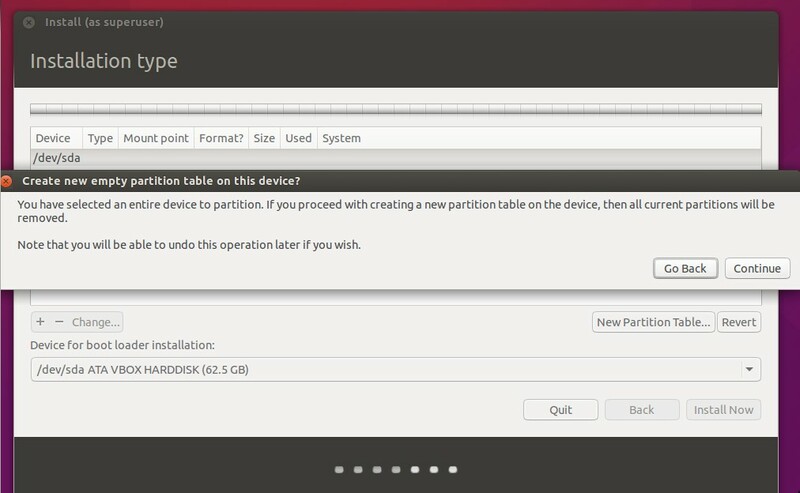 Click on OK, and repeat the same step for /var and /home partition. Step:5 Set the time zone for the Clock. 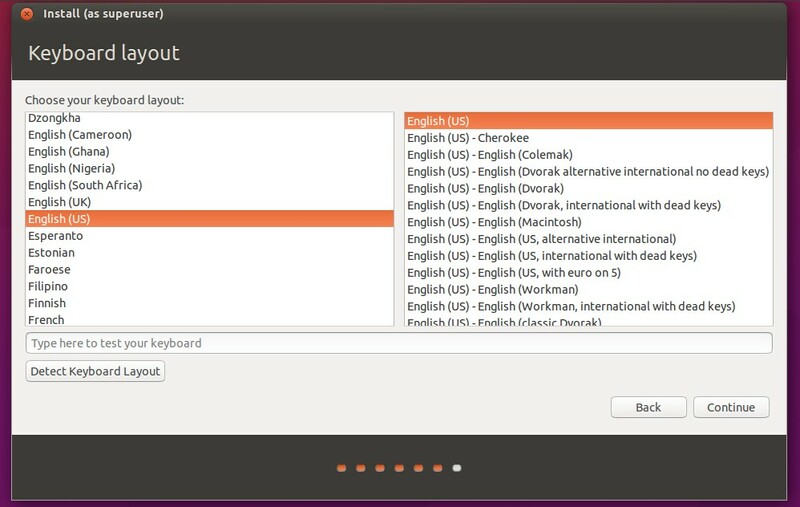 Step:6 Define the language as per your setup. Define the password for the user. When we click on Continue in above step then installation will start. When the Installation is completed, we need to take reboot. 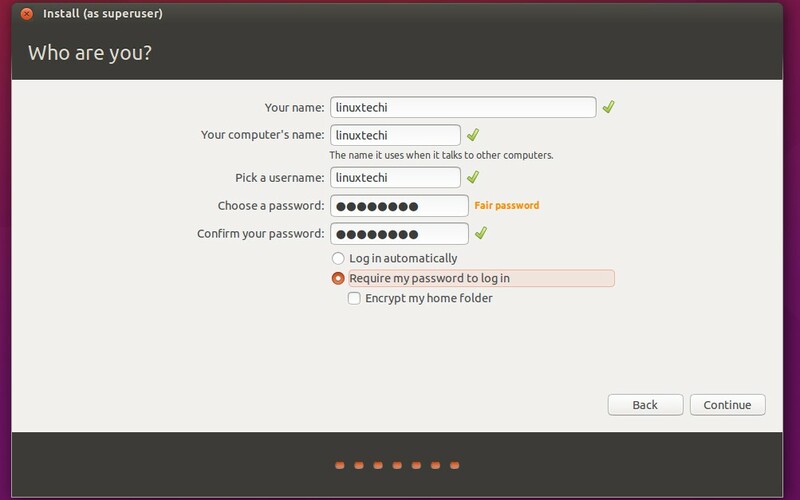 Step:10 Now Login to the System using the credentials that we set in above steps. 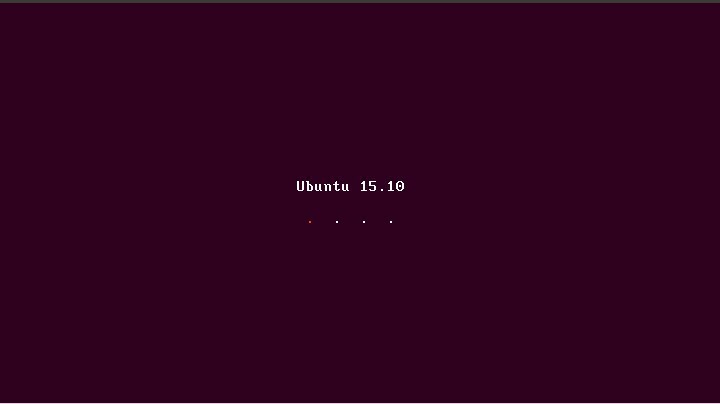 Installation of Ubuntu 15.10 is completed, enjoy and explore it. Thanks. I found this useful in achieving a working installation. Hi ! I have Windows 10 installed on my PC. 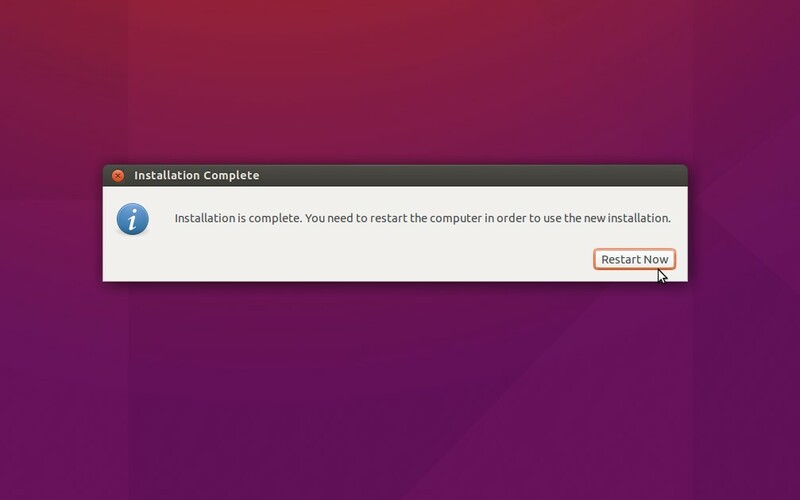 I installed Ubuntu 15.10, but, when I did reboot, Windows 10 entered as if it was alone on the computer (grub menu wasn’t displayed). To install, I did exactly as said here, except “Require my password to log in”. Instead of it, I used “Log in automatically”. 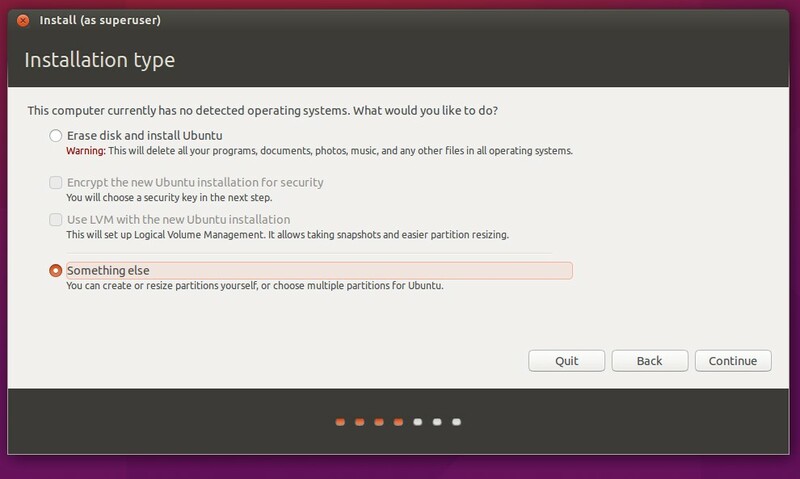 Also, I didn’t specify the /var partition (only /, /home and swap) Please, what I missed ? Thanks in advance ! It seems that timeout value in the grub boot loader is 5 seconds, in that time if you don’t select the OS , it will boot the default operating system. When the system reboots press any up and down key , it will stop at boot loader and from there you can select the OS you want to boot.